If you’ve always dreamed of taking to the open road on two wheels, the first thing you need to do to realise that dream is take your CBT test in Sidcup. CBT stands for Compulsory Basic Training, and although it is often referred to as the CBT test, there is no test involved. Instead, a CBT is the most basic level of training you must undergo to ride a motorcycle or scooter in the UK. Once you have completed your CBT and received your CBT certificate, you will be certified to ride on the road for two years. Once those two years are up, you will have to retake your CBT, or complete your full motorcycle licence. Where Can I Take my CBT Test in Sidcup? There are a number of CBT training centres in and around Sidcup. Phoenix Motorcycle Training are based at Foots Cray, and boast the only purpose-built motorcycle training centre in London and the south east. Phoenix provide jackets, boots, helmets and gloves to all students. Phoenix are the UK's first MCIAC Gold Standard School, which means they provide the highest standard of motorcycle training in the UK. If you prefer to take complete your CBT outside Sidcup, we also have training centres in Orpington, Lewisham, Croydon, Crystal Palace, and Thamesmead. Because a CBT is only a very basic level of training, the motorcycles and scooters you will be eligible to ride will be restricted. If you’re 16-years-old you will only be allowed to ride a motorcycle or scooter with a maximum capacity of 50cc, and a top speed of 30mph. Once you turn 17, you will be allowed to ride machines with a maximum capacity of 125cc and a maximum power output of 11kW (14bhp). 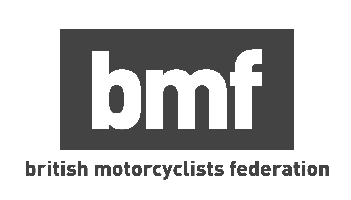 If you complete your CBT test in Sidcup at the age of 16 and wish to move up-to a 125cc machine once you turn 17, you will not have to take any further training. You can ride either a scooter or motorcycle during and after your CBT, and it’s entirely up-to you which type of machine you ride - both have their positives and negatives. At RideTo we considered the top motorcycles that you can ride on a CBT licence. Scooters feature automatic gearboxes, which means they’re easier to get the hang of for new riders. The vast majority of them also feature a storage space under the seat, which can hold things like security chains, or even your helmet when you are off the bike. These two features make scooters a great choice for those looking for practicality and ease-of-use over fun. Motorcycles on the other hand can be a little harder to get the hang of, but they offer more control and arguably, more fun. The manual gearbox in a motorcycle means you will have to learn how to change gears, using the clutch and gear lever, which can be a little tricky at first. But once you’ve got the hang of it, a manual gearbox offers greater control of your speed and acceleration, and also allows for more control during slow manoeuvres. The lack of underseat storage means you’ll have to wear a backpack, or fit some luggage to your bike if you want to carry anything.